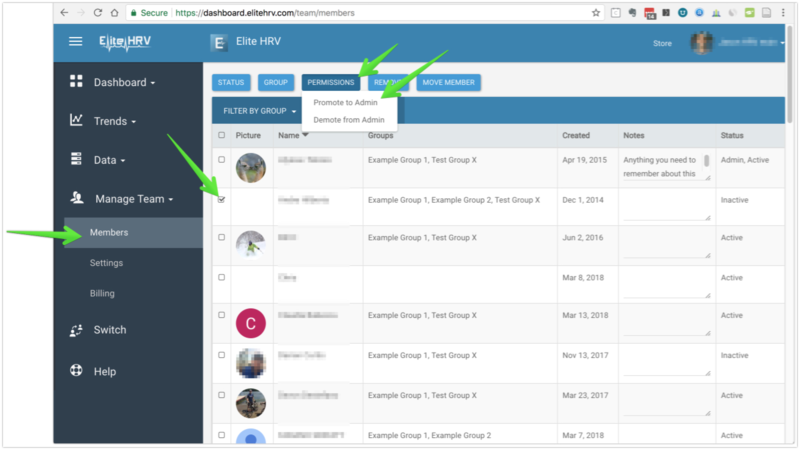 Administrators or "Admins" of your team can see all member data, add/remove members, and manage most aspects of your team. Admins cannot see or manage billing. Only the Team Owner can see or manage billing. *Important note about billing: Team Admins and Owners do not count towards billing unless they are set to "Active" member status. If you are not planning on analyzing the data of the Admin or Owner, then set them to "Inactive" so that you are not billed for them. The inactive Admins or Owner will still be able to see and analyze the data of the normal active Members. How do active and inactive members count towards Team billing?